Our residential scheme ‘The Longfords’ for Q Developments has been commended in the RIBA Journal Schueco Excellence Awards for Design and Innovation 2016. 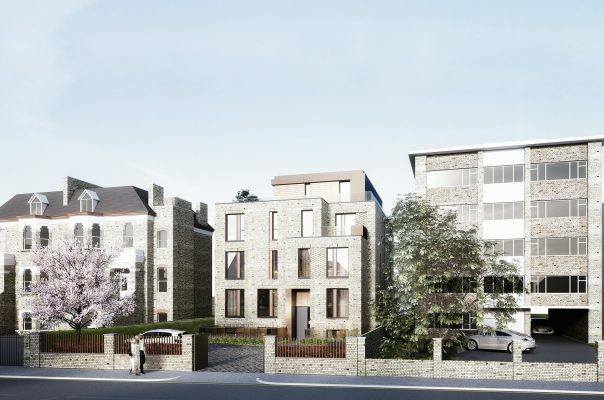 The project delivers seven houses and one duplex apartment on a sensitive site at Kingston Road, Teddington in a neighboured typified by Victorian properties. We designed a contemporary version of a London mews terrace, three and four storey buildings with discreet elevations giving way to bright open interiors opening on to private terraces and gardens. In 2015 ‘The Longfords’ was named ‘Best House’ and ‘Best Luxury House’ in the What House? Awards.